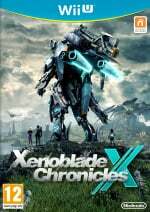 Xenoblade Chronicles X has just launched in the west to very positive reviews, and to mark this occasion Time has been speaking to creator Tetsuya Takahashi, the man behind the entire "Xeno" series of video games. Except for a subset of titles, Japanese RPGs are budgeted so they'll make a profit off sales within Japan alone. It seems to me that building the entire world of the game itself (making it open-world) is considered one must-have element for Western RPGs nowadays, but that just can't be done in the current Japan scene. But lately, I've started to wonder about whether this is really just because of budgetary issues. I think this is probably due to differences in cultural tastes, but in the current situation, it's difficult to take content created in Japan and have it accepted in the West. As a result, you can only create things scaled to make money within Japan alone, and it becomes this negative spiral. Japanese tastes are unique compared to those in the West, so if you focus solely on gamers within Japan, you'll always find yourself running into this problem. (I think this is easy to see when you notice that FPS-style games sell only around 100,000 copies or so in Japan, as opposed to 10 million worldwide.) This may be a surprise to hear, but I don't have very much interest in "current" Japanese anime and games, and I don't play them, either. (I do get hands-on with them for future reference, though, and I still love older games that came out 30 or so years ago.) Most of the movies, TV dramas, novels, and games I pick up are made in the West. I don't do this deliberately; that just turned out to be the kind of thing I like. As a result, I've come to the realization that it's best to try and organically make the kind of things I like, or want. We're also seeing mobile games flourish in Japan while the console market declines, but the type of audience playing mobile games in Japan now has never bought my games, not since even before mobile existed. I consider the entire world to be my main field of battle, so I don't worry about that at all. I also think that other companies' RPGs, those with the potential to fight it out on the world market, aren't going to be threatened by the state of mobile within Japan. That's the kind of thought process that led to the completion of Xenoblade Chronicles X, and I hope that people will be willing to give it a try. I tend to get bored with things pretty easily, so I'd like to keep creating things with different approaches every time. Along those lines, I'd definitely like my next project to look and feel pretty different from this one. The 'Xeno' name, by the way, really just exists to make it clear that these are Tetsuya Takahashi productions. Interesting considering Xeno means foreign. That makes more sense now. XCX has been well received in the West compared to Japan(Japanese impressions were mixed). I remember reading a few translated reviews a couple months ago that said the game felt too "western". I just don't want some Call of Duty type of game for his next project. @Fee Indeed, I thought that too. And so, it would be another Xeno game, probably just another planet/era/backstory, eh? Can't complain really, loving XCX too much. Time just gave this game a 10/10. Trust the big media on this one. This game is a masterpiece. XCX 2 or something different is fine by me. I think if you own a Nintendo console, you do so because you like Japanese gaming- that's the reason I own it, for quirkly, colourful, humourous and different gaming experiences. I own a PS4 predominantly for Japanes games not on the Wii U. I don't tend to like games that American studios produce. When I think about it, all the big AAA western games I've liked have been made in the UK. I love this. While I'm a huge fan of JRPGs there is an interesting aspect about the budget to be profitable in Japan only which can turn off Western tastes and the downward spiral this has caused. I do see Xenoblade Chronicles X more as a JRPG but it does have several aspects of Western RPGs. It's a great mix of the two and I think a perfect example of how to organically create something unique rather than stick to tried and true formula of JRPGs. Further I have sunk about 70 hours into Xenoblade Chronicles X now, more than I did for Fallout 4 and coming up close to The Witcher 3--which both have taken a back seat to this game. I just got my Flight module and don't see me stopping anytime soon. I truly hope this game sells well and Nintendo continue to invest in this unique series. This was a big reason why I bought a Wii U when it launched. @Bobbery My, oh, My.. The irony is very strong in you my friend.. So games from Platinum, or games like the Souls series, the Yakuza series, the new westernized open world games like MGSV or FFXV are old and their devs ''needs to get with the times'', right? Oh, but not Nintendo! No, sir! Even though they're still making platformers to this day, even though they're still making Marios, Zeldas and Pokemon to this day, even though they're still making the same IPs with the same formulas.. They're different and very modernized, right? They're totally not still stuck in the 90's, right? @Eat_Pie thats weird to hear since I would have guessed complex mechanics wpuld be right up their ally even if it were a large open world affair. The funnier part is the largeness of the world seems to reflect the size ofwirkd s from say ffvi only now your limited by file size to truly realize a large open world experience rpgs jrpgs or otherwise havr always seem to be. @Specters I think he's talking about companies like Atlus and Intelligent Systems. @Specters I see Xenoblade Chronicles as a WRPG with JRPG elements. I find it much more similar to the Witcher 3 than I do to FFVII. I remember seeing a Youtube video of someone trying to classify the differences between JRPG and WRPG and according to his classification, Xenoblade X is more of a WRPG. Anyway, it is all pretty arbitrary. @Eat_Pie Not true. Famitsu gave the game a perfect score. I like Japanese games more than western games simply because of two things. Firstly being that they have a lot of charm and ideas are far more unique than western games. Secondly, we can expect sequels to come quite often in Japan more than the west. Sure, there are certain games that don't see the light of day but at the same time, the west simply isn't into making sequels unlike Japan. That makes a lot of sense since Xenoblade - if you ignore the character design of Lin and Elma and a few other characters - is already designed like a western game. @Dakt: Although I haven't finished the story yet, I could totally imagine that! Not only storywise, but because of some improvements (free roam with friends, free button configuration, camera fix and a lot of other, minor stuff). @Fee: Yeah but in that sense it can also mean alien or from another planet. I'm not an expert on the Xeno series but I think that's why it's named like that. @GMB-001 Yeah....I don't get it either. What is it that many gamers think that Japanese developers need to get into the times? For crying out loud, they love doing something different a LOT more than western developers. @MrGawain I think he is probably referring more to your typical Japanese manga style game that populate the vita, the 3ds and smart phones. I truthfully think Japanese people are growing bored of those kinds of games.. Except for some titles, Nintendo games are kind of in a realm of their own and don't have that distinct "Japanese" feel to them..
@Socar 9,9,8,8 Is a perfect Score? Famitsu is the only review outlet in Japan? What? What do the Japanese call Japanese people who prefer western culture? @GMB-001 You're almost as bad as him. Nintendo doesn't have a problem. Something people need to learn is that there's a difference between being a hipster and refusing to accept new things, and being a reasonable person that knows if it isn't broken, don't fix it. Why so agressive people? Some smash salt stuck in your eye? All I have to say is X is one of the best RPG's that I've ever played. And it's f'n beautiful. Don't change anything. @Bobbery But you are insulting japanese developers for being so old making games. I think you don't have any evidence to support that statement and that's the problem with it. Look at me. Almost every one can't accept my opinions just being my opinions about it and people still mock at me about it even after giving a through research about the facts that I claim. I find it interesting how he likes western stuff while many of us westerners like the japanese style rpg's. I don't like XCX as much as I liked XC. If XC had XCX's quest system, the game would completely blow away XCX in my personal opinion. I don't like silent protagonists, and I don't like open worlds when they use silent protagonists as you end up getting an Elder Scrolls type game. While I do enjoy an Elder Scrolls game occasionally, I prefer my rpg's to be like living a book, not creating a book. Well, say good bye to your successfull run so far. There is not a single japanese gamedev who successfully westernized their IPs. Simply look at Capcom, Sega and Konami and say with a straight face that they succeeded appealing to a western market. He is so right mobile game players are different to home console players you get a different experience on a home console that currently mobile can not give, at last a deveoper with common sense mobile games will not kill the home market bad games will just look at the rubbish on Xbox and PS4 same games same graphics I'd rather have the Nintendo difference any day. I'm like you, I'm a big fan of japanese games. But I can't deny that sales wise japanese developers are completely out of touch. The gamers aren't interested anymore and they're getting completely crushed by western developers. I mean look how MGS5 underperformed compared to the other main entries of the series. It's a huge drop. As a publisher only Nintendo is resisting well. Mostly because they have their own market. But I'm very worried about the future of Sega and Square. And maybe Capcom. The results of Street Fighter V will be a big turn for them. To be honest I think the huge mediatic hate campain against the WiiU backfired over the entire japanese industry. I mean you can't tell to people to not play Nintendo games because they are awful and have terrible graphics then tell them to play games like Disgaea, Star Ocean, Gravity Rush, Guilty Gear Xrd, YS or Dragon Quest Heroes which offer similar graphics as Nintendo is offering. People will see the hypocrisy and will prefer supporting the big western AAA. I think that's why the sales of japanese games in the west have plummeted. @Einherjar SEGA does have a few IP's that actually work for the west....namely Phantasy Star. But yeah, you're right. These devs are better off not focusing the western market if they can't understand that market to begin with. @Bobbery He said he doesn't like Japanese games but didn't say anything as in they are old and whatnot. And this is an article, not a thread. But generally, youre right. The Universe itself has a lot of potential for different, more western oriented genres. Shooters, RTSs, you name it. But at the end of the day, it is still a JRPG at heart and i guess everything else will just feel shallow and forced. "It seems to me that building the entire world of the game itself (making it open-world) is considered one must-have element for Western RPGs nowadays"
No, just no! Maybe if you absolutely want to sell to the Fallout/Skyrim etc. crowd, then yes, but those are not the only RPGs fans out there ... plenty of folks worldwide are absolutely fine with non-open world RPG games, and even if it may not add up to 10 Million copies, that should be fine, as a smaller, or more focused game, should no need the same kind of gigantic budget in the first place. Just as important though, please don't replace the gameplay by turning the experience into an first-person shooter, or a third-person shooter, or an "action-adventure" .... as so many, if not almost all western devs do these days. @Bobbery A: Calling a person angry doesn't mean they are, nor does it discredit their argument. Grow up. B: You didn't state an opinion, you stated a juvenile opinion followed by a nonsensical statement. Saying "Japanese devs need to get with the times." is moronic and doesn't really MEAN anything, though the IMPLICATION behind it is obvious and false. The best games are still Japanese, just as they've always been. You just don't have a true appreciation for good games, you have an appreciation only for nostalgia. C: "Get over it and move on with your lives." D: "I'm not the one hurling insults at posters I disagree with." @GMB-001 Good, saves me the time of demolishing the moronic, juvenile tirade of a reply that would've come had you actually read it and gotten uppity over being wrong. Not surprised. You can tell from the design of the Xenoblade series that the creator is a bit of a westaboo and is trying to recreate that big, open feel of a lot of big contemporary Western RPGs. I am looking forward to seeing where Monolith goes with this. One of my problems with the first Xenoblade was that I felt like the strong emphasis on a primary narrative conflicted with the more exploratory design. Games with a heavy narrative focus work better when they embrace linearity (even if, as in some of the FF games, they hide that linearity, like FF7, or otherwise only open up the gameplay very late into the game, like FF XII and XIII), whereas open-world games work best when the majority of the content is discovered through exploration or through side-quests. Xenoblade had a lot of room to breathe, but there was very little point to really exploring, because the side quests were mostly meaningless MMO fluff and the majority of the game's real content was found by following the story. I generally prefer Japanese games. I'll play something Western once in a while, like Fallout 4, but in general I feel like Japanese game design, themes, plots, etc. just speak more strongly to me. Great interview, I like this Takahashi fella. It's good to know that he has a Western influence in his entertainment, it opens potential for a great mixture of culture. XCX has some truly odd-looking aliens that surpass a lot of what I've seen in other forms of media. Also glad to hear that the next game will be entirely different, a lot of JP developers end up sticking to their niche too often. Skipping comment section to avoid possible spoilers.. What can I say, To each own. He has little interest in Japanese games while I have little interest in Western games. But if his outside of the box approach creates gems like the Xeno series. I'm in. I just hope the FExSMT game do quench my thirst for a (IMO) legit JRPG on WiiU. He made a near perfect game. I love Japanese style games, but many aspects are dated and it's good to embrace the positives of western games. Which Xenoblade X does nicely. It takes what I love about JRPG's, gets rid of all the garbage and infuses it with many modern western elements. Well done. At around 85 hours in, its probably the best game I've played and I have so much left to do. I can easily see well over 200 hours. Im loving all the quests, they really tie into the story line and aren't pointless like a lot of the ones in the original Xeno blade. The world is amazing and I can just explore for hours. I'm amazed and the gameplay is phenomenal. Personally, I prefer more linear story-focused RPGs, and I'll likely wind up preferring the first "Xenoblade Chronicles" for that reason. However, I especially don't care for the M-rated grit-fests that most Western RPGs have become, and I'm still looking forward to tackling XCX come Christmas. @JaxonH "It takes what I love about JRPG's, gets rid of all the garbage and infuses it with many modern western elements." Except Xenoblade's Combat system pales in comparison to a LOT of JRPGs out there, as do the characters. Xenoblade and XCX are amazing games, but you're delusional if you think they're the pinnacle of JRPGs. You're also delusional if you think WRPGs do more than just a small handful of things better than JRPGs in general. X is a thousand times better than the first one imo.. the first ones linearity didn't really help the games focus.. Also the on-line modes in this game are fantastic!! I love the psuedo 32 player online and the ability to take on tasks with other people in a group of 4 which reminds me so much of Phantasy Star Online!! I'd be careful calling people delusional over what boils down to opinion. It infers yours is the only "correct" view, and anyone who thinks differently is suffering delusion. See, I don't think XCX's combat system "pales in comparison to a lot of JRPG's". I think it's one of the deepest, addictive and best in recent memory. And many would agree with me. And there is no set amount of things western RPG's do better. Most of it is style and preference. Xenoblade X is an amazing game, but the original Xenoblade is my all time favorite game I just loved the story. If his next game has some of the elements of X along with being more story driven that'll be perfect. I also liked being able to "see into the future" during battle. That created some cool strategy in battles that I'd love to see again. @Undead_terror Yes massa sorry massa I won't express muh free speech eva ageyn massa!